Looking for evidence-based tools to manage anxiety? 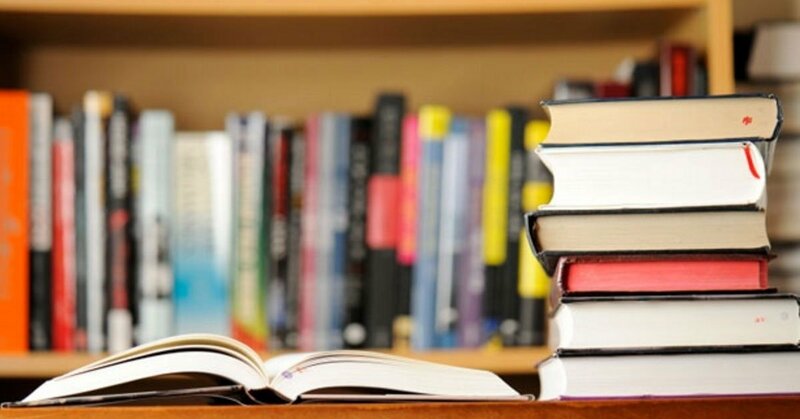 Here are four excellent self-help books based on the principles of cognitive behavior therapy. 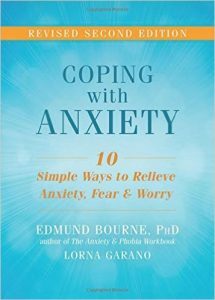 Coping with Anxiety by Edmund Bourne and Lorna Garano offers a wonderful collection of tools to reduce anxiety. For each strategy, the authors present a clear, user-friendly rationale based on research and clinical practice. Although the book offers a balanced consideration of both medical and psychosocial treatments, the primary focus is psychosocial. Little time is spent on case examples, which I find refreshing when I’m looking quickly for practical ideas. Each of the ten chapters covers techniques to address somatic, cognitive, or behavioral aspects of anxiety. Throughout, the guidelines are to-the-point, easy to follow, and effective. Although the relaxation and cognitive strategies are similar to those found in other books, Coping with Anxiety also emphasizes the value of aerobic exercise, nutrition, supplements, sleep, and downtime. The new edition also goes beyond the tried-and-true cognitive behavioral methods and acknowledges recent research on acceptance-based therapies, the use of apps for music and relaxation scripts, and imagery exposure. If you’re looking for a multi-modal system for controlling symptoms, this should absolutely be near the top of your list of self-help books. 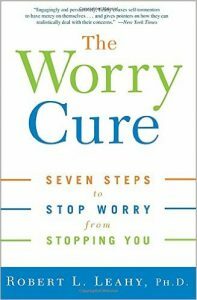 The Worry Cure by Robert Leahy examines the cognitive process at the heart of generalized anxiety: worry. Worrying is a double-edge sword because the consequences can be both good and bad. For some people, worrying about responsibilities, upcoming events, and social obligations leads to problem-solving behavior, productivity, and an awareness of coping skills. 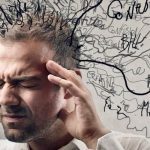 But when worrying involves thinking repeatedly about uncontrollable events, showing little or no tolerance for uncertainty, and worrying about worrying itself, patterns of avoidant behavior and gripping anxiety are likely to follow. In this book, Dr. Leahy, one of the most well-regarded clinical psychologists in the field of cognitive therapy, presents seven steps anyone can follow to address worrying problems. Although the author has written extensively for the scientific community, here he targets regular folks with no background in academic psychology. But this is not your average self-help book–the suggestions provided are evidence-based and useful for consumers and mental health professionals alike. Worksheets are provided to evaluate the extent of worrying, patterns of dysfunctional thinking, core beliefs, and emotional reactions. The book also helps readers to distinguish between productive and unproductive worry, accept uncertainty, and challenge errors in thinking, such as predicting the worst or believing specific setbacks can be generalized to other situations. The book concludes with suggestions for specific problems, including social discomfort, relationship problems, work stress, health worries, and financial concerns. The Generalized Anxiety Workbook is another great resource for those struggling with worry and anxiety about an unpredictable future. This book is a nice companion for those already working with a therapist, but it functions well as a standalone self-help book for anyone with mild symptoms. 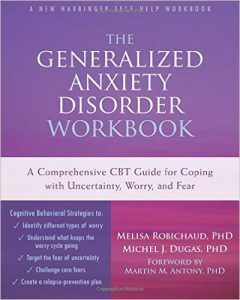 Authors Melisa Robichaud and Michel Dugas offer a nice overview of the basics of CBT, common cognitive errors used by chronic worriers, an evaluation of the impact of beliefs about uncertainty, and a discussion of the “safety” behaviors many people use to cope. Throughout the book, the authors do an outstanding job of helping the reader consider the possibility that an uncertain future can be viewed with enthusiasm rather than anxiety. The section on using behavioral experiments to test the accuracy of predictions is great, as is the breakdown of steps involved in identifying obstacles and problem solving. The focus on relapse prevention is also excellent. Readers who find it difficult to pinpoint their cues and triggers (e.g., “I worry about everything”) will find much to value in this workbook. 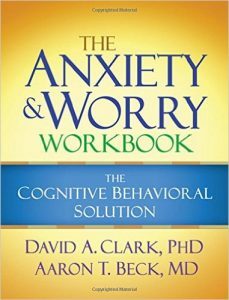 The Anxiety and Worry Workbook explains the assumptions and practices of cognitive therapy, the cognitive and behavioral characteristics of anxiety, and step-by-step strategies to overcome significant problems. Authors David Clark and Aaron Beck, leaders in the field of cognitive therapy, indicate that the thought of imminent danger is at the heart of all anxiety, which is why addressing patterns of thinking is so important in treatment. The book provides detailed explanations of the cognitive elements of anxiety, particularly the tendency to overestimate danger and underestimate personal coping resources. The authors include many useful checklists and worksheets to help the reader systematically approach the process of anxiety reduction. At the end of each chapter is a clear summary of key ideas in bullet points. 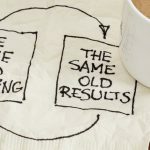 The authors recognize that some of the principles of CBT can be difficult to implement, so they also offer troubleshooting tips to make the process of change more manageable. For individuals with social anxiety, an entire section of the book is devoted to identifying and managing negative thoughts about interpersonal situations. Finally, one of the many strengths of the book is the section on introducing an exposure plan, which is particularly important for those who can identify cues or triggers that lead to patterns of avoidance. This is without question one of the best anxiety-management books available, a valuable resource for practitioners and clients alike. I hope you find these self-help books useful. If you prefer to work directly with a psychologist who specializes in cognitive behavior therapy, you can learn more about my services here.